Pakistani journalist Shabbir Siham was summoned by an anti-terrorism court in Gilgit-Baltistan after he revealed that some members of the ruling Pakistan Muslim League had gotten involved in human trafficking and prostitution with a gang. Mr Siham was offered a bribe by the gang and later received a death threat from the region’s information director due to his work on the topic. The broad definition of anti-terrorism law allows Pakistani “anti-terrorism courts” to systematically use the law as a weapon for targeting journalists and activists. According to the news site Dawn, Gilgit-Baltistan regional authorities brought charges against Siham after he wrote an unflattering column about members of the regional legislative assembly. Critics say Pakistan's Anti-Terrorism Act, which includes language defining terrorism as "creat[ing] a sense of fear or insecurity in society," is too sweeping and has broad potential for abuse. "Shabbir Siham should not be punished for his reporting on issues of national interest, and he certainly has no business on trial in an anti-terrorism court," said Steven Butler, CPJ's Asia program coordinator, from Washington D.C. "Pakistani authorities should immediately drop the charges against him and stop trying to intimidate journalists into silence with excessive legal charges." Siham's court notice, which a local judge signed on September 28, warned that the journalist could be tried in absentia, according to the document, which CPJ has viewed. If convicted, Siham could face up to 14 years in prison, Ahmed told CPJ. CPJ was unable to locate contact information for Raja Shahbaz Khan, the local administrative judge who signed Siham's court summons. The Chief Court in Gilgit-Baltistan did not immediately respond to CPJ's emailed query. Siham, who is based in Islamabad, told CPJ he wrote an article in November 2016 for the English-language Daily Times newspaper in which he said some members of the Pakistan Muslim League from Gilgit-Baltistan were involved with a gang in human trafficking and prostitution, though he did not name specific members. In response, the regional government registered a legal case accusing him of fabrication, according to Dawn. After the article was published, the region's information director approached Siham in Islamabad and asked him to stop writing on the topic, while gang members from Gilgit-Baltistan showed up at his home and attempted to bribe him with money to stop wthat riting about it, Siham said. They then threatened to kill the journalist when he refused their offers, he said. Ahmed said that in January, the Gilgit-Baltistan government's home secretary commissioned a fact-finding committee. The committee requested that Siham go to Gilgit-Baltistan to meet with them, but the journalist declined due to safety concerns. In March, the Gilgit-Baltistan government registered a case against Siham, and Islamabad police subsequently carried out raids on the journalist's home, according to Dawn. Consultations between the Pakistan Federal Union of Journalists and federal and local governments in April led to the formation of a separate three-person fact-finding committee to arbitrate the Gilgit-Baltistan authorities' response to Siham's article, but the committee has made no progress, according to Dawn. Siham typically covers crime, and previously worked on contract for the Daily Times. The journalist also writes for the Urdu-language Daily Jinnah newspaper. 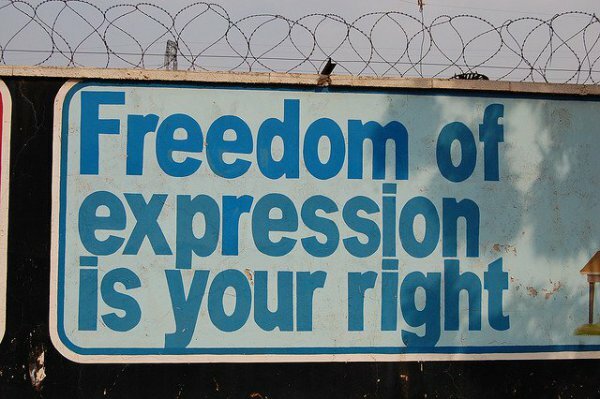 Pakistani authorities have used anti-terror laws to target journalists before. In the Gilgit-Baltistan region, authorities charged two journalists under the anti-terror law last year; one was arrested and the other went into hiding, CPJ documented.